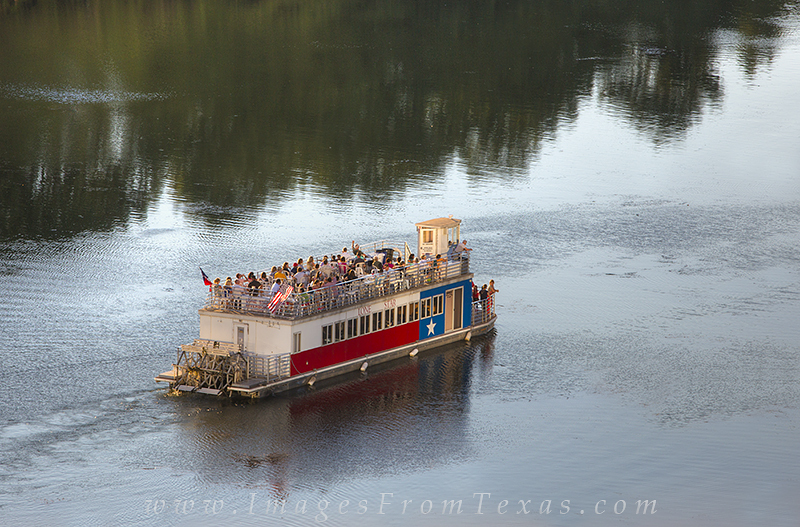 Each evening in the summer months the Texas Lone Star Riverboat makes its way up and down Ladybird Lake beneath the Austin skyline. The main attraction in the summer evenings is the spectacle of the bats departing their home underneath Congress Bridge. But the boat ride along the shores of Zilker Park is an enjoyble evening anytime. Photo © copyright by Rob Greebon.